Using my no rush credit again. Thought it was worth a post. A very good film and by far the best in the "X-men" franchise. It is both more violent and more human than the others. Hmm let me think I had £3 no rush credit. So actually had it for free. Legally! Literally just finished this! Great film, really enjoyed it! 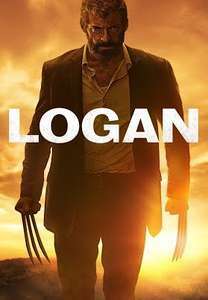 If you're showing this film to others who have no prior knowledge of X-Men, do you think it's useful to give them any sort of primer beforehand so they understand the history of the characters/universe etc? Or should you just let them go in blind and let the film do the talking? If you do give them a primer, what details should you cover? If you're showing this film to others who have no prior knowledge of …If you're showing this film to others who have no prior knowledge of X-Men, do you think it's useful to give them any sort of primer beforehand so they understand the history of the characters/universe etc?Or should you just let them go in blind and let the film do the talking? If you do give them a primer, what details should you cover? There are people who have no knowledge of X-Men? The other X-Men films feel like family movies in comparison. I'd just watch this one. if they have somehow managed to have missed the comics, movies, amazing 90's cartoon series and know absolutely NOTHING about the X men....then yes, a mild primer is probably a good idea. I'm not sure how much information they need based on the film series though, as their own continuity is scattered at best. But this is set 'roughly' after them. Something like "Mutants exist. Bald wheelchair man (psychic!) ran a school for them to help train them. they were hated. There was a team called the Xmen. Wolverine was on it. He had healing factor and was older than he looked, and had been used by the government as a weapon and had his bones covered in unbreakable metal, and his mind wiped. Hes a bit of an anti hero. Had a wild thing for Jean Grey, but she was with Scott/Cyclops. This takes place a long time after all of this". I mean that's a very basic gist. No doubt Stan Lee would be appalled by my synopsis (if you're browsing HUKD's, sorry Stan). Get a VPN for peanuts. Free Premier League and Champions League football. Risk free. Forever. It's great. if they have somehow managed to have missed the comics, movies, amazing …if they have somehow managed to have missed the comics, movies, amazing 90's cartoon series and know absolutely NOTHING about the X men....then yes, a mild primer is probably a good idea.I'm not sure how much information they need based on the film series though, as their own continuity is scattered at best. But this is set 'roughly' after them.Something like "Mutants exist. Bald wheelchair man (psychic!) ran a school for them to help train them. they were hated. There was a team called the Xmen. Wolverine was on it. He had healing factor and was older than he looked, and had been used by the government as a weapon and had his bones covered in unbreakable metal, and his mind wiped. Hes a bit of an anti hero. Had a wild thing for Jean Grey, but she was with Scott/Cyclops. This takes place a long time after all of this".I mean that's a very basic gist. No doubt Stan Lee would be appalled by my synopsis (if you're browsing HUKD's, sorry Stan). This seems a good idea. I just want them to have a basic understanding of some character history so they understand motivations etc. Thank you. Get a VPN for peanuts.Free music and films.Free Premier League and …Get a VPN for peanuts.Free music and films.Free Premier League and Champions League football.Risk free. Forever. It's great. It's not risk free. Awful advice! Can you cite anyone in the UK who has been taken to court for music/film/sport piracy despite using a VPN? Don't bother searching, because there aren't any. If you're using a VPN then your ISP can't tell what you're doing. Therefore it is risk free. Can you cite anyone in the UK who has been taken to court for …Can you cite anyone in the UK who has been taken to court for music/film/sport piracy despite using a VPN?Don't bother searching, because there aren't any. If you're using a VPN then your ISP can't tell what you're doing.Therefore it is risk free. The other X-Men films feel like family movies in comparison. I'd just …The other X-Men films feel like family movies in comparison. I'd just watch this one. For a Dream Kill Bill 2, 13 Assassins. It's like a TV Licence. Except with piracy through a VPN it's like living at a house the inspector can't get to anyway. Easy. You can't get all films for free through pirating though. Many films are unavailable.